VirtualBox is an open-source hypervisor software that helps you create and run multiple guest operating systems (“virtual machines”) on a single hardware machine. 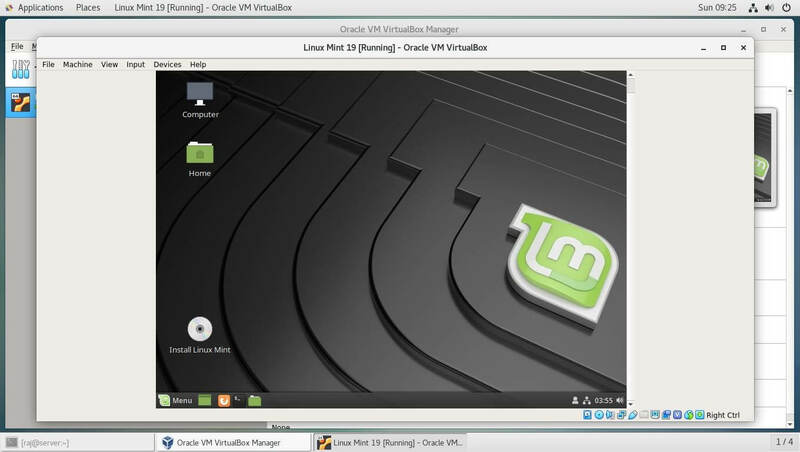 VirtualBox can be installed on host operating systems, including Linux, Windows, Solaris, OS X, and OpenSolaris. From the version 2.0 VirtualBox supports 32 and 64bit host and guest operating systems. If you want to install 64bit guests then your processor must support hardware virtualization and, of course, the host operating system must be 64bit as well. VirtualBox is released under GPL v2 and Oracle VM VirtualBox extension pack is released under PUEL (Personal Use and Evaluation License). From VirtualBox 5.1, installers no longer rely on DKMS for module rebuilding. 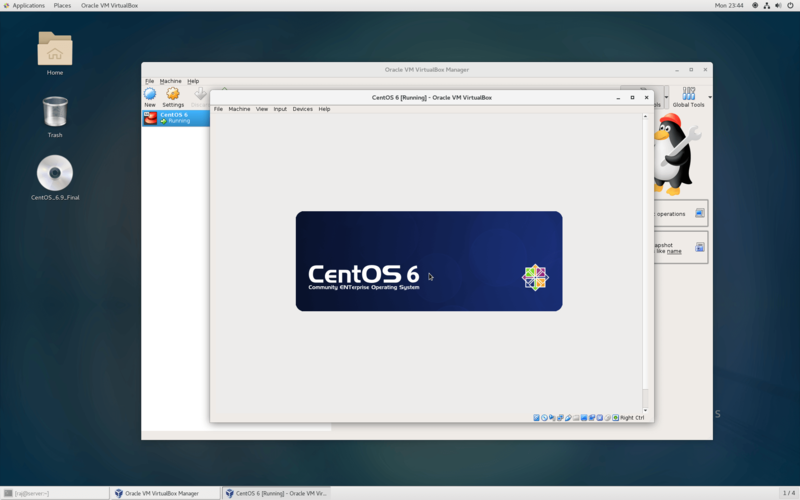 This tutorial shows how to install VirtualBox 6.0 / 5.2 on CentOS 7 / RHEL 7 via yum repository. Update the system to the latest version. Once the system is up, install header and development tools. Also, install the wget package to download items using the terminal. Download the Oracle public key. 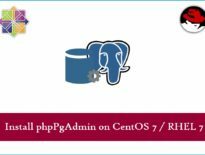 Download the VirtualBox repository file for CentOS 7 / RHEL 7 and move it into /etc/yum.repos.d/ directory. Create the /etc/yum.repos.d/virtualbox.repo file with the following repository information. Install VirtualBox using the yum command. Run the below command to check the status of VirtualBox Linux kernel module service. Dec 23 09:13:15 server.itzgeek.local vboxdrv.sh: vboxdrv.sh: Starting VirtualBox services. Dec 23 09:13:15 server.itzgeek.local systemd: Started VirtualBox Linux kernel module. 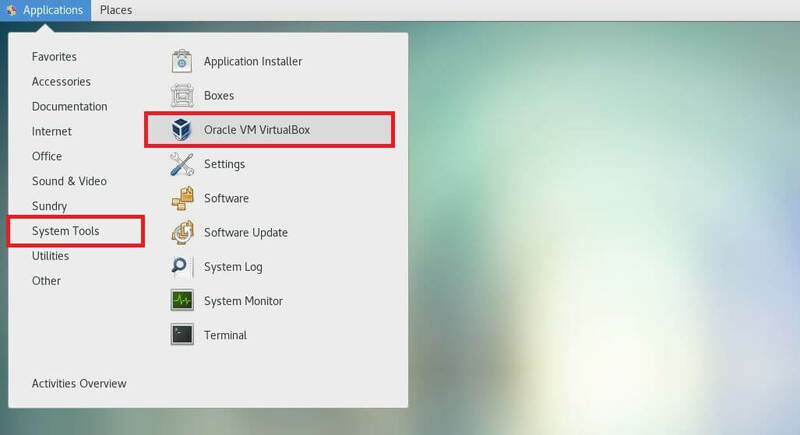 Start VirtualBox: Application >> System Tools >> Oracle VM VirtualBox. What are you waiting for? just go and create virtual machines. 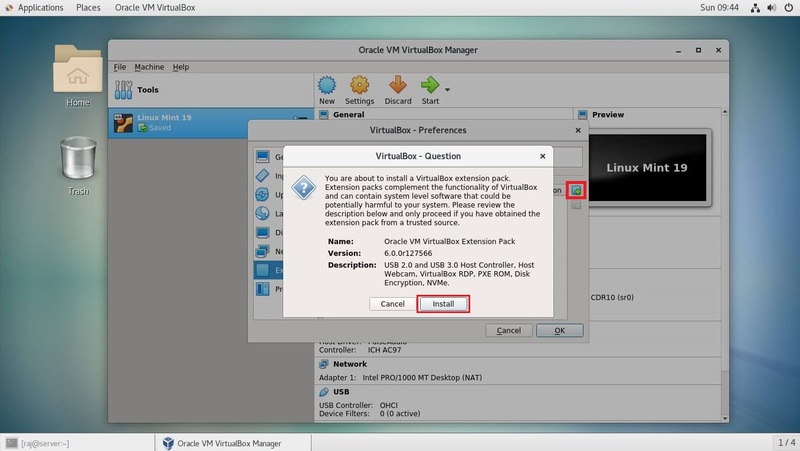 Oracle offers extension pack to add additional functionalities such as USB 2.0/3.0, VirtualBox Remote Desktop Protocol (VRDP) support, Disk encryption, Host webcam passthrough, Intel PXE boot ROM, and PCI passthrough to the Oracle VM VirtualBox base installation. Please install the same version extension pack as your installed version of VirtualBox. Download the Oracle VM VirtualBox extension pack using the wget command. To install the extension pack, go to VirtualBox >> Preference >> Extensions >> browse for extension pack by clicking on the + icon. That’s All. You have successfully installed VirtualBox on CentOS 7.